6 inch wrist here. I’ve had the Flieger Klassik in 36mm for nearly 6 months. Within a second or two of my atomic time g shock. Beautiful watch. The all-dial Fliegers wear big so 36mm is a great choice. I went with date and no logo. The date window is nicely done and still allows the watch to have a clean looking dial. No regrets. A couple other German manufacturers make 36mm fliegers at a lower price but without date. Laco and Archimede come to mind. Aristo makes a 38mm also. 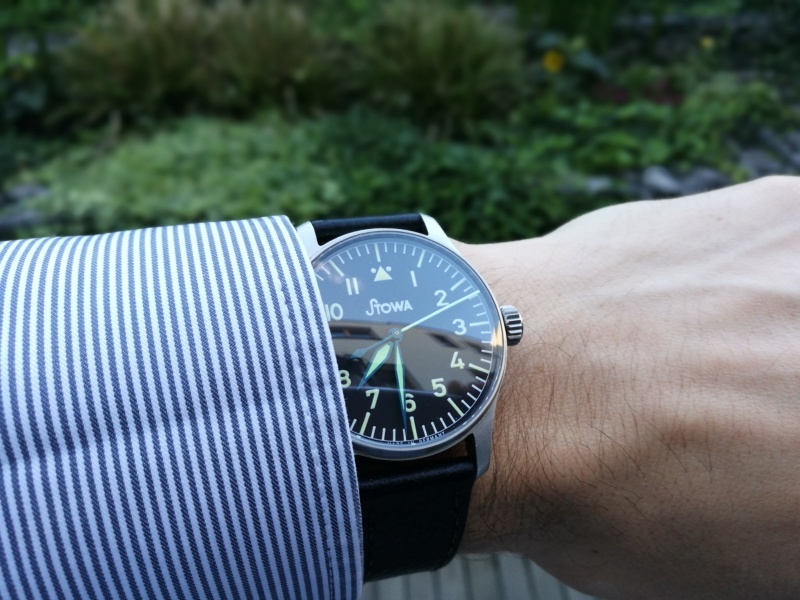 I think the Stowa is definitely nicer, but a lot more expensive too. Good luck with your decision. FWIW I have the Verus 40 and I think it works great on my 15cm wrist (5.9) ...on an Erika’s original, the smallest strap from Stowa was too large without punching holes in it iirc. But yeah if I was interested in the non-Verus line then I would go 36mm.